If you have stars in your area that you can see, then encourage kids to look up. You could use a star finder app (here are 15 of the best for iPhone). You could also check out a book at the library. 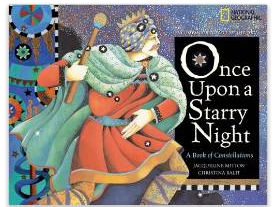 The book, "Once Upon A Starry Night" by Mitton and Balit is a wonderful start, with stories about constellations and their associated myths (K-3rd grade). I've also had kids take black construction paper (or dark colored paper) outside along with gold foil stars. They can use the stars to try to mimic the constellations they see or make up their own. Have them create unique myths and stories to share and tell. You can use white crayons to connect the stars with lines and make animals, heroes, or monsters. You can use mini-LED lights to call local fireflies. It takes patience and you have to know the flash pattern, but there's nothing like having a firefly come right up to you to say hello. Check out my previous blog post on how to call fireflies and what you'll need. I don't recommend catching fireflies, too often they get hurt or squashed in little hands. However, if you have older kids that have a bit more fine motor control then this can be fun too. Just be sure to put air holes in the jar! 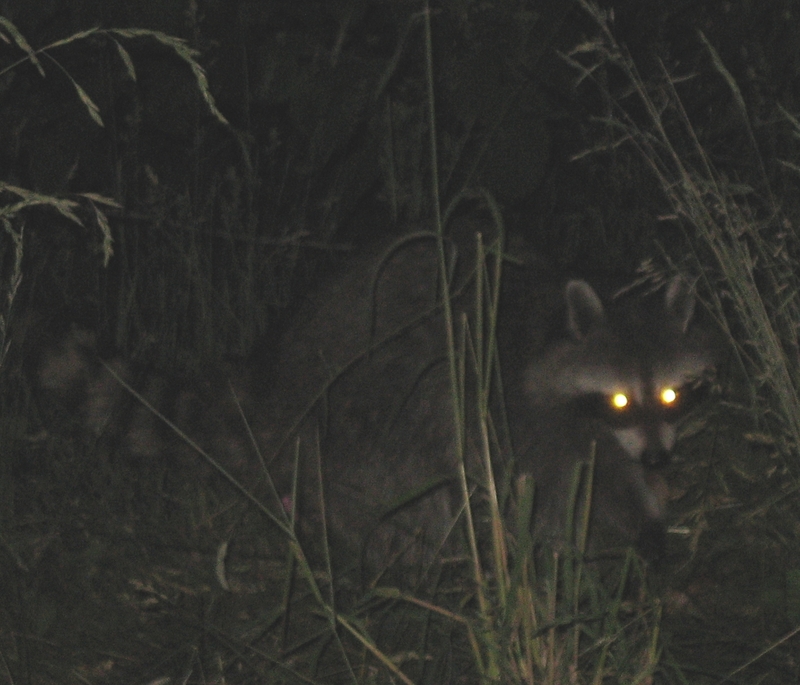 If you have mini LED lights or flashlights you can have participants play a fun game of hide and seek. One person would be the "firefly catcher" and the rest would be fireflies. The fireflies have to "light up" or shine their light in a 1 second flash (don't let kids cheat and do a short flash) every 30 seconds. You can also flash every 60 seconds for older kids. The firefly counter counts aloud (or in their head) and the says "Firefly, Firefly, I do Spy." There isn't any running, only walking and moving around stealthily. 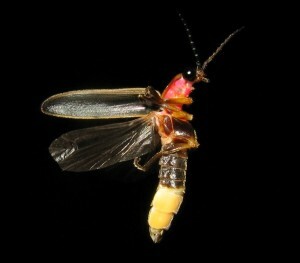 If the firefly catcher gets close the person can move, but only walk, they an also hunker down and hide. Of course make sure your area is safe for this and that kids know the boundaries as well as areas to avoid (namely poison ivy patches). Smaller flashlights work best for this game. This is super simple and fun, it only requires regular potatoes and tonic water (with a blender and bowls too). You can prepare the materials ahead of time to take with you. It's easy to clean and non-toxic. 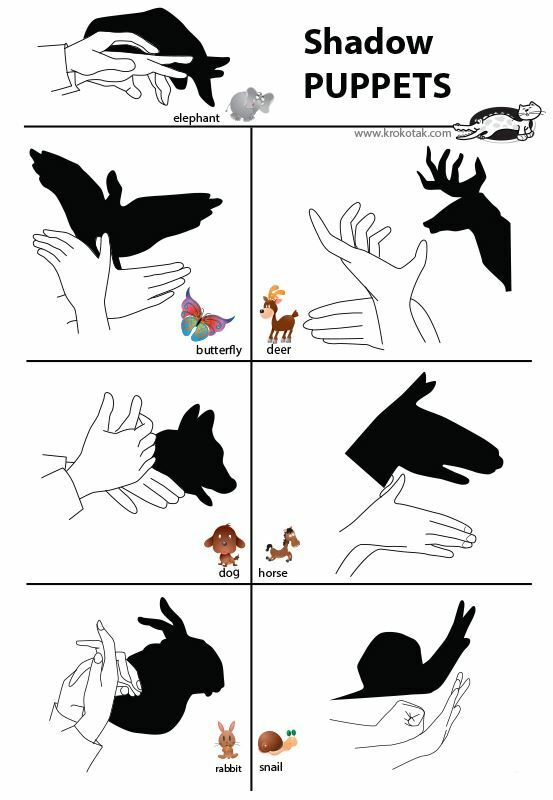 Shadow puppet ideas from Krokotack.com. 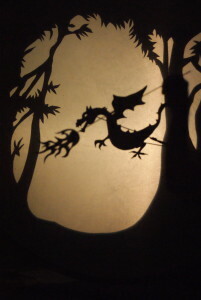 Shadow puppet dragon (Photo: Flicker sharing, Susan Van Gelder). One fun way to pass the time is to set up a sheet with lights shining from above. This will attract insects and moths that will land on the sheet so you can get some up-close viewing and identification. You should stretch the sheet tight over a laundry line or rope and then secure it to the ground with stakes. You can also make a pocket in the bottom of the sheet (using clothes pins), so that if you gently tap the sheet the insects will fall down and into the pocket. Be sure to have a good hand lens or insect guide on hand. Always capture and release, and try not to touch the moths and damage their delicate wings. 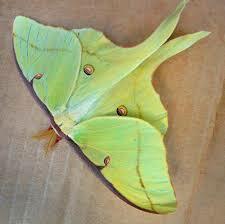 Luna moth (Photo: Wiki Commons). Although not purely scientific this is a fun game. You can take any ordinary kickball and apply common glow-in-the-dark paint to it, or you can order one online. There are many fun glow in the dark types of balls, from boccie balls to basketballs. Make your game more interesting with glow in the dark soccer or balls of different colors for different teams. You can also listen to a variety of owl calls on the Journey North website page too. 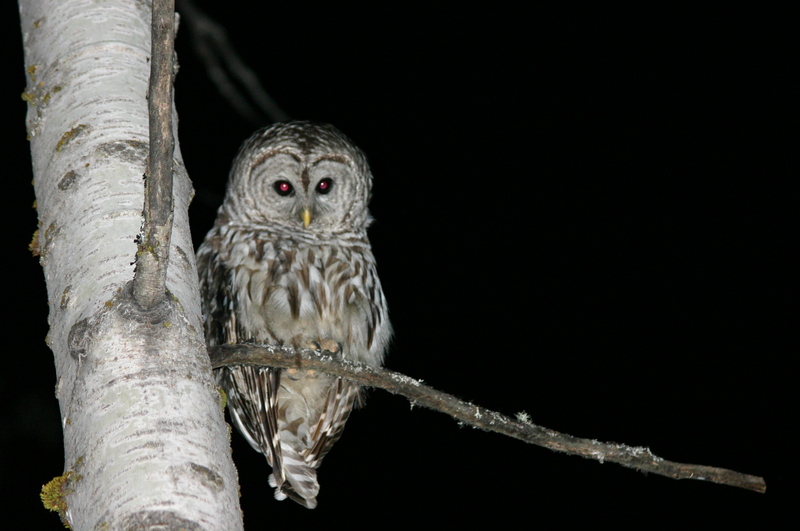 Barred owls sound like "Who cooks for you? Who cooks for you" and screech owls whinny like a horse. Saw whet owls say co-co-co-co-co.
Cricket crawls are popular for those that like insects. 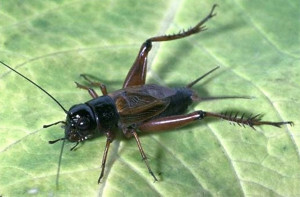 You can try your hand at finding crickets and katydids in the underbrush, and then identifying them. Here's a page with some of the most common. You can also learn their calls and try to identify them too. The "Songs of Insects" page has a great introduction to chirps, trills, lisps, zits, tsips, lispy trills and rattles as well as species specific calls. You can also figure out the local temperature by counting the number of cricket chirps for 14 seconds (it has to be between 55-100 F). Simply do count 3 times, take the average, and then add 40 to the number, this will give you an approximate temperature in Fahrenheit. Check a regular thermometer to see if you're right! If you want to cheat you can use the cricket-chirp-temperature-converter from NOAA. I adore a good campfire story, and its even better with sound effects. Tell a story and have the kids make sounds effects with locally found objects and materials. You can also record the story on your phone or mobile device to share. Have the kids become explorers, take a notebook, and record their findings. 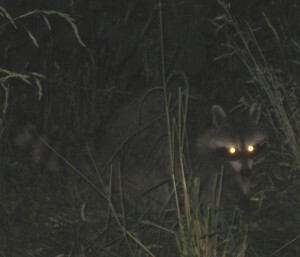 Raccoon with yellow eye-shine (Photo: Wiki Commons).